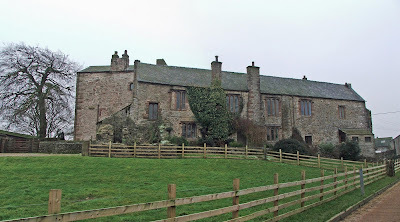 Wharton Hall sits on the Eastern side of Mallerstang, about two miles outside Kirkby Stephen. 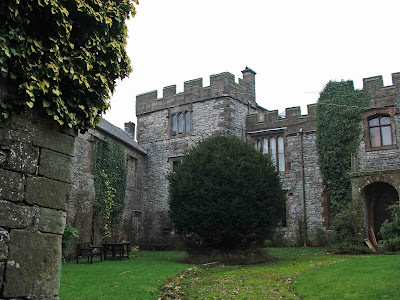 Built by the Wharton family, the fortified residence overlooks the River Eden before it descends into the valley of Mallerstang. The hall is a lightly fortified site, built around a courtyard with a spectacular gatehouse, and probably dates from the early 1400's. 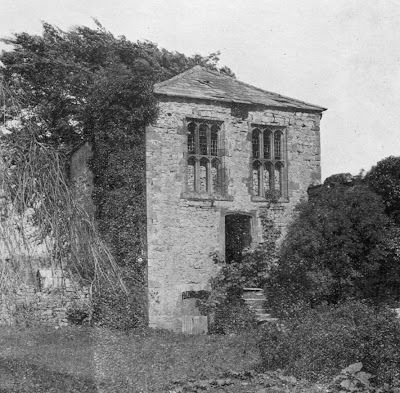 At this time a hall house was erected, with a tower house soon being added to the range of buildings. 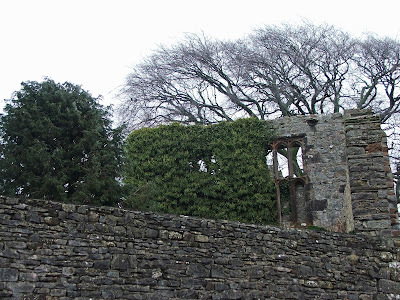 The tower house now stands in ruins at the other end of the site, and was not seen on my visit. 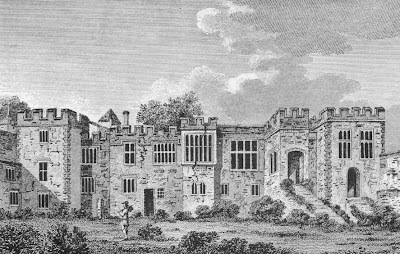 Sometime around 1520, the banqueting hall was built, the great hall and the kitchens were added, and the whole site began to take on the shape of a high status manorial centre. 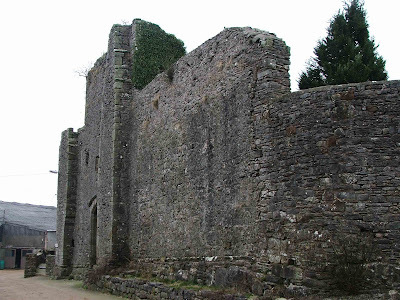 In 1569 a domestic chapel and a cross wing house were built, and the gatehouse was added. 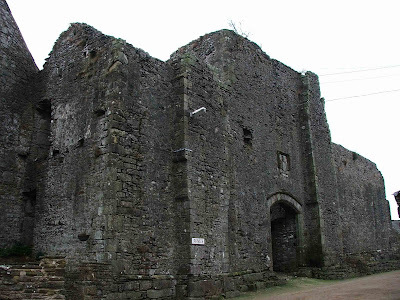 The whole site was no surrounded by a 'curtain-wall' with the gatehouse providing secure entry and exit from the courtyard. Some of the buildings incorporated into this site are grade I listed, and have undergone some renovation and repair to a very high standard. The house (shown above) has been beautifully restored, with many of the original mullioned windows still in place. The gatehouse, although roof less, is in good condition. 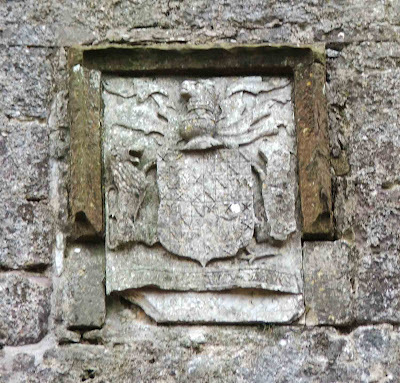 The Wharton coat of arms remains in good condition in a carved panel above the doorway in the gatehouse. Postcard (from personal collection) showing the Northwest range of buildings (to the left) dating from around 1559. The gatehouse can be seen at the right of the photo. 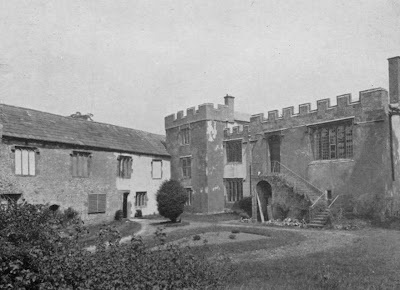 Postcard (from personal collection) showing a view of the interior of the courtyard, with a range of buildings, including the three storey Main Hall at the far left of the picture, dating from around 1415, study, bedchambers and butter, with the kitchen at the far right hand of the picture. 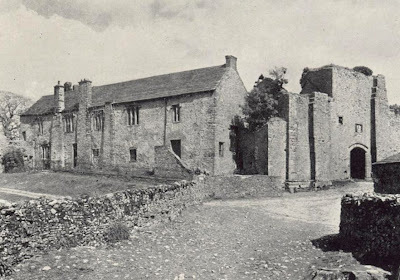 Postcard (from personal collection) showing the 'pele' tower at the corner of the courtyard. Periam and Robinson agree that this building was a solar tower, and is one of the earliest parts of the whole site. Postcard (from personal collection) showing the kitchen tower at the North East of the site. This building is now roofless and not used. The photo above, shows the kitchen tower as it appears today. It is fortunate that a public footpath runs right past the farmyard, affording great views of the gatehouse and other buildings on the outer edge of the site. Please be aware, that the public footpath does not provide access to the gatehouse....from this point, the farm yard is private property. Great photos and info about the Cumbrian Sites, great info on Gamelands Stone Circle. Having the surname wharton has never ment so much to me am well impressed, ha think its brilliant that theres a hall a coat of arms, im guna have to come visit at some point..!! really good page - old photos are interesting - thanks very much for this.